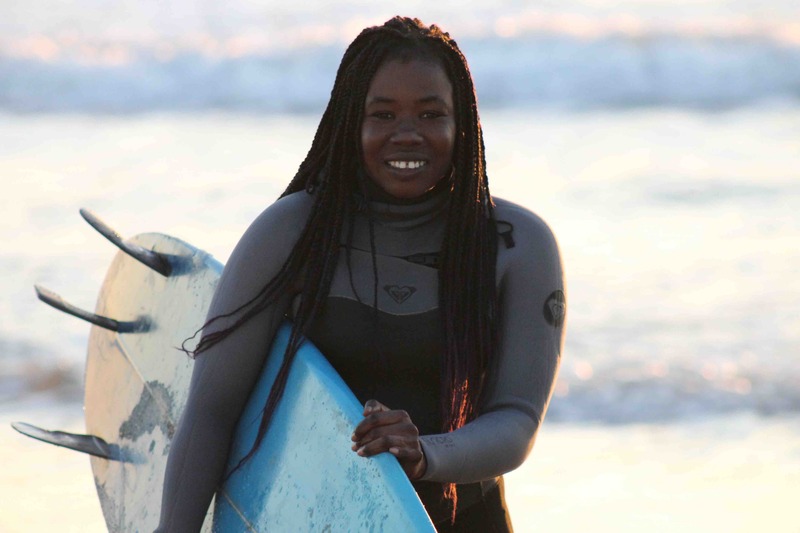 Black Girls Surf supports girls/women whose career goals are competing in the professional surfing. Through, the fundraising efforts we have been able to send athletes to compete and train with professionals to ensure that they are prepared. 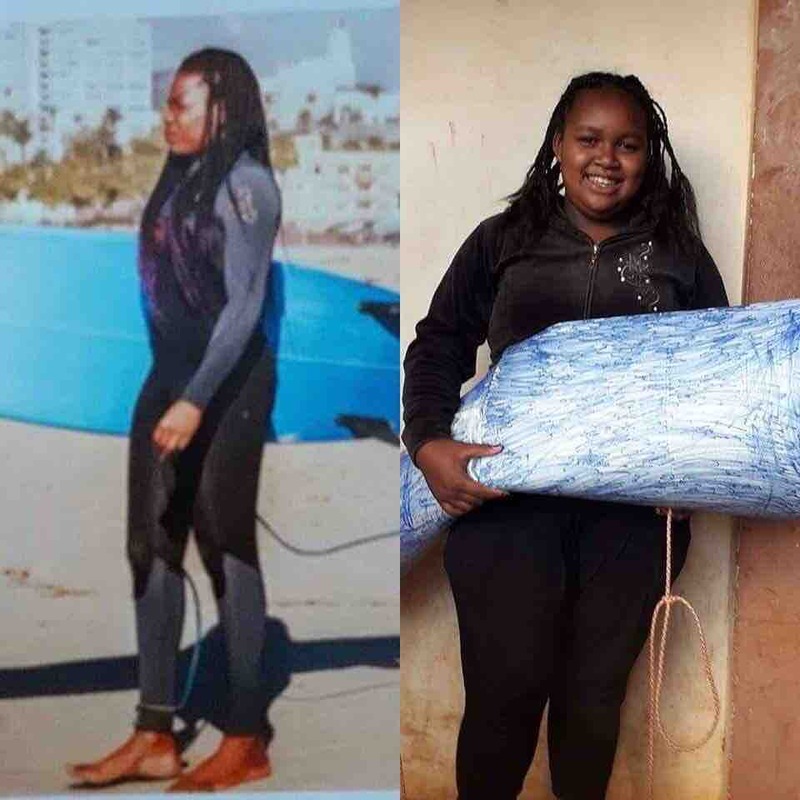 Black Girls Surf is raising funds to send West African, female surfers, Khajdou Sambe (Senegal ) and Kadiatu Kamara (Sierra Leone) to the World Surfing League. 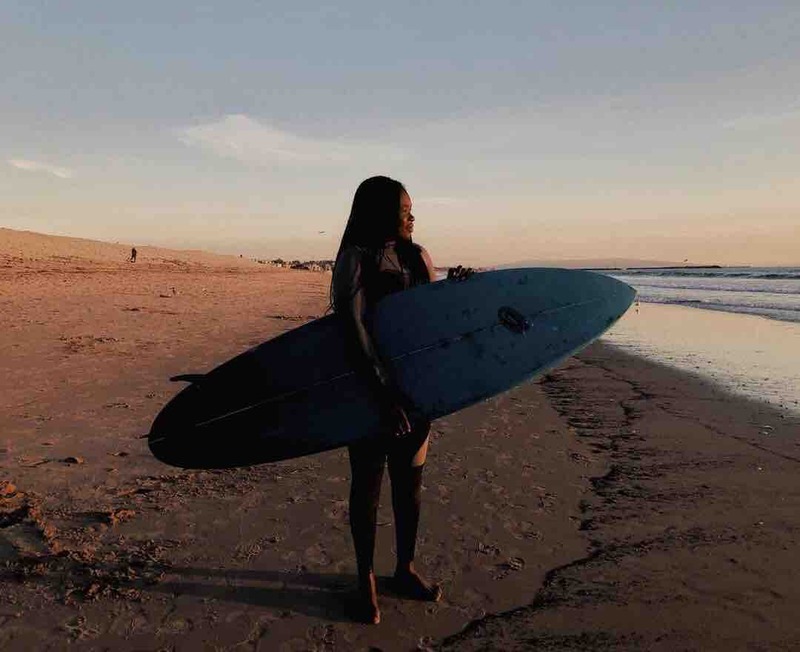 Both of these young women are the first and only female surfers in their countries. Under BGS, they will have an opportunity to train with world-class surfing professionals. Your contribution will assist them in their journey to greatness. We will keep you weekly updated on their progress. Thank you in advance. The girls from Madagascar were assigned a historic figure to reenact their photo. This young picked Khadjou Sambe. We know we’re doing the right thing each and every day when we receive donations or media coverage. Khadjou still has a chance for the Olympics in Tokyo 2020. She is also chasing dreams on the WSL. We still need your help. Any donation is appreciated. Mahalo for all of your warm wishes and donations. Khadjou training in Venice, CA. Thank you, thank you!! We are overwhelmed by your warm wishes and generosity. We will keep you updated here. We’re not giving up! Surf’s Up Japan!